Not surprisingly, I started off my day with a green smoothie. 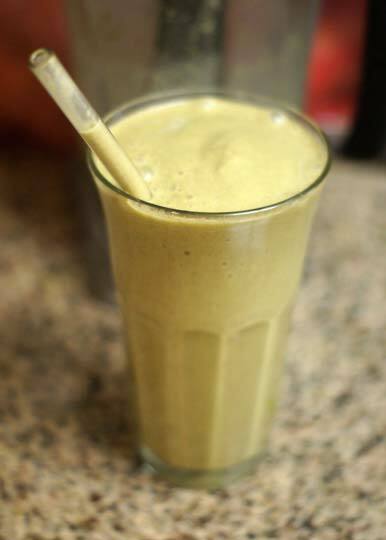 This one included frozen bananas, a whole romaine heart, hemp protein, sunflower seed butter, water, cinnamon and vanilla. I started off my lunch with a chopped romaine salad, topped with shredded carrots, avocado and this orange basil vinaigrette. 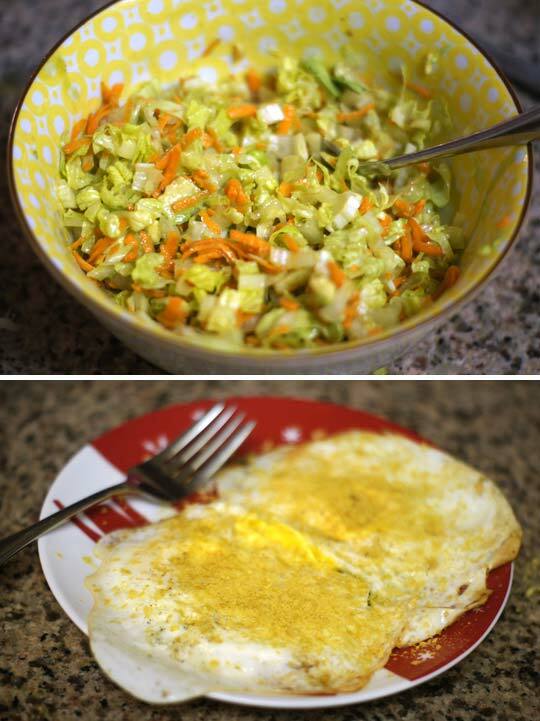 Followed by two eggs fried in coconut oil, and topped with nutritional yeast for a “cheesy” flavor. As a late afternoon/pre-dinner snack, I had some homemade coconut yogurt, made in my slow cooker. 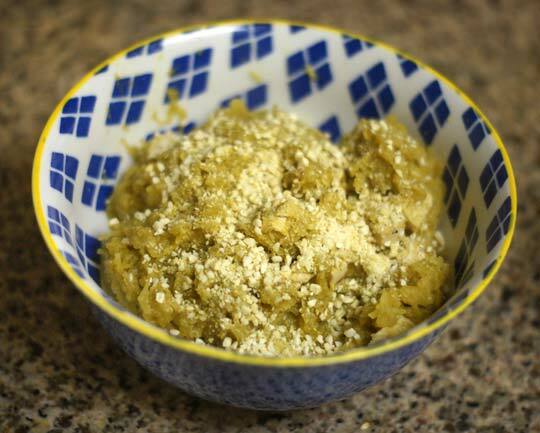 For dinner, we split an entire baked spaghetti squash, smothered in a variation of this avocado sauce with sun-dried tomatoes, topped with a bit of cashew Parmesan. It was really tasty! We split dessert, too. I had never tried this raw almond butter tart before, and since there was a sale at Whole Foods the other day, I had to give it a shot! It was tasty, but I actually prefer Hail Merry’s lemon tart more. Will you share the coconut yogurt recipe made in your VitaClay? Happy Thanksgiving! I recall youhaving a delish rescipe fror cranberry relish but I am not finding it on your site? Thank you! Please share how you make the coconut yogurt!! That coconut milk yogurt looks amazing! You may want to check out the photos for a Facebook link. I shared your site with a FB group and didn’t know it would provide a link. The link picture is an 8×8 pan with beige cake. Kinda blah looking. I would have expected your logo if anything. Does the link change based on the day someone references it? 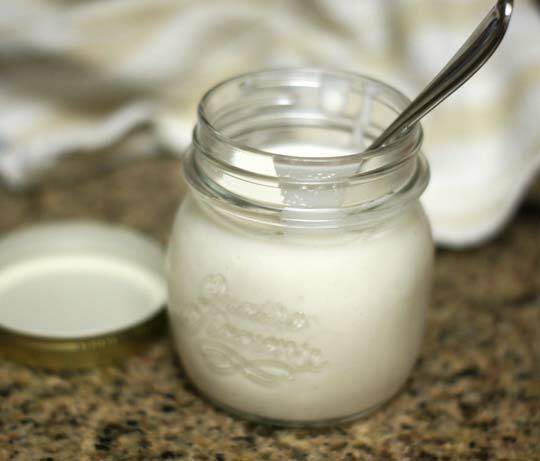 Homemade coconut yogurt? Yum. Please do share your recipe soon! Even the store bought unsweetened coconut yogurts have ingredients I’d rather avoid. I love how you’re using tiny little mason jars to store it. Love your blog! I’ve tried the hail mary lemon tart too. It was so good. They’re a little spendy. Have you ever tried recreating them? I’m in Thailand right now, so I’ve been eating a ton of Thai food. It has been amazing but I will be honest, I miss my green smoothies and drinks! They have a ton of fresh fruit smoothies, but they don’t use greens in their drinks. Brussel sprouts oven roasted with Black Walnut oil. You have to try it!